The Stylmartin Chester Shoes are street-style riding sneakers made in full grain leather with additional bike protection that is perfect for everything from the city to the countryside. 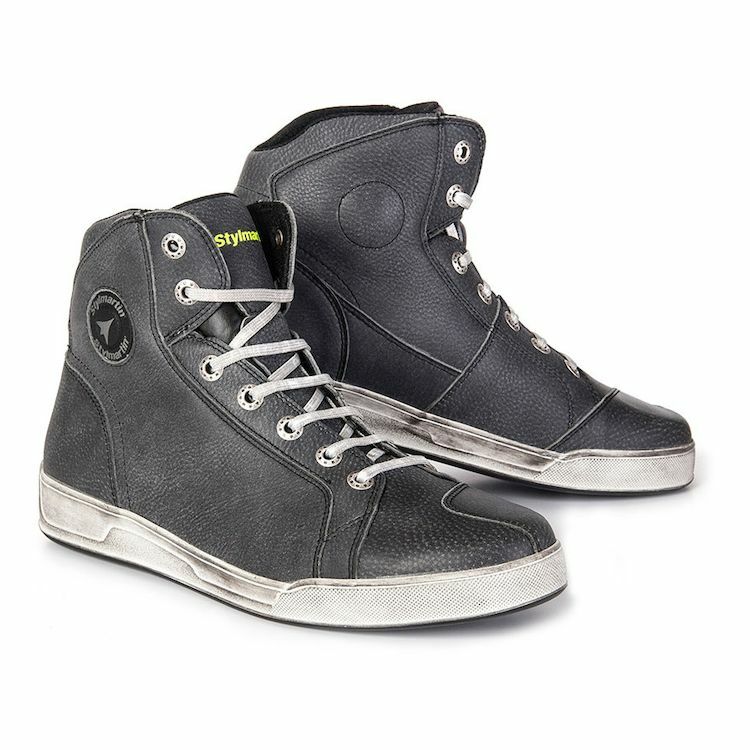 These comfortable and waterproof sneakers are a perfect fit for four seasons of riding. I got this shoe in January (2019) and have worn it multiple times in to work, no one knows and i forget >'m wearing riding shoes. Now that it's warmer out, i've ridden multiple times with it and it is simply forgettable - i suppose because it's so comfortable! Too soon to review durability and my safety impressions are based solely on its CE rating. Good purchase for me. Best Riding Shoe I've tried. Just ordered my Second Pair! I've tried many riding shoes. I have yet to find the "perfect" one but this one comes the closest. These will be my second pair. The first pair lasted over a year and the soles were getting worn around the heel from foot-dragging while riding. The rest of the shoe is still in great condition. Kind of a shame/waste. What I'm looking for: CE rating, water-proof/resistant, leather chasis, reflective element. Basically, I want a riding boot that looks like a shoe. My only issues with these shoes are: the grey colored leather is NOT black. I wish it came in a black-black; the soles leaves one wanting for more traction, especially in wet conditions; the "distressed" laces aren't distressed but dyed to look distressed and its kind of cheesy. Just give me a black-black shoe with black-black laces and black-black soles. Speaking of soles, the "distressed" soles only make the shoe look old. I don't want an old shoe. I want a new shoe. That's why I'm buying a new shoe. :\ The soles should also be made to last longer as they're the only parts of my first pair to show wear after over a year of regular use. Until a better shoe comes out, I will be sticking with these. I like the style. The leather is nice. I can's speak to the water resistance, I haven't been caught in the rain. My only issue with them is sole wear. I've had them for a little over a year, and the sole is worn almost smooth under the balls of my feet. I've really only worn them when I've been riding, I've ridden less than 1000 miles in them, and don't drag my feet or anything. The soft sole does provide good grip though. great daily walker as well as riding kicks,..
wanted a shoe that would work on the street and that would offer more protection than a regular pair of sneaks when riding the WR250R around town doing chores,..
thank you Stylmartin Chester designers/creators ?? Super comfortable right out of the box. I love the look and protection these provide. These are much more casual than my black leather boots and much more incognito than my ADV boots. Great for wearing with jeans around town. Had to have these! They look so "cool!" Arrived fast and with all the great things with ordering through Revzilla. They look great and feel fantastic. Great supple leather. I will enjoy these for a long time. Not so cool..... Well... hot. They do NOT breathe. The footbed liner is horribly thin, and it gets pushed back so your toes are over the edge of it! Very annoying. I'll have to buy new footbeds. Not what I consider for a high priced boot. The fake "patina" doesn't stay on. The areas of the white sole with grey marking that wear, eventually have the markings wear off. Overall, I love these boots, but I'm not sure they are even worth the price. I have another pair of Sidi's that are similar and 1/2 the price. THey are just as good. Ok so I bought the “Marshal” in brown. Stupid lacing that I had to redo but I guess I got over it really great shoe. 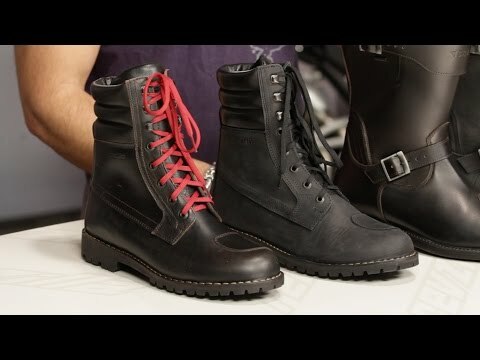 I run a big Harley and most of my friends I ride with wear those heavy Harley boots. I used too as well. Once they saw these shoes.....we’ll just let me say several have come over to my shoes. I bought the “Chester” in black. Just like the “Marshal” as far as I can tell. Same fit and finish. I wonder if someone in Italy watches old reruns of Gunsmoke......(Chester and Marshal). The Chester is so darn comfortable but more than stable enough to handle a seven hundred pound bike. What is so great about these shoes is you can ride all day and then walk miles with no I’ll effects to your feet. Just about the most comfortable riding boots/shoes I have ever worn. It me they are boots not shoes with hell protection, toe protection and ankle protection. Yet they are lighter and more flexible that those Harley boots. Believe me I am a happy customer of these outstanding boot/shoe. First riding shoes that I love! These Stylmartins are so comfortable, which I was really worried about with wide feet. I feel like I can wear them anywhere. Quality is top notch, only wish they were slightly cheaper.